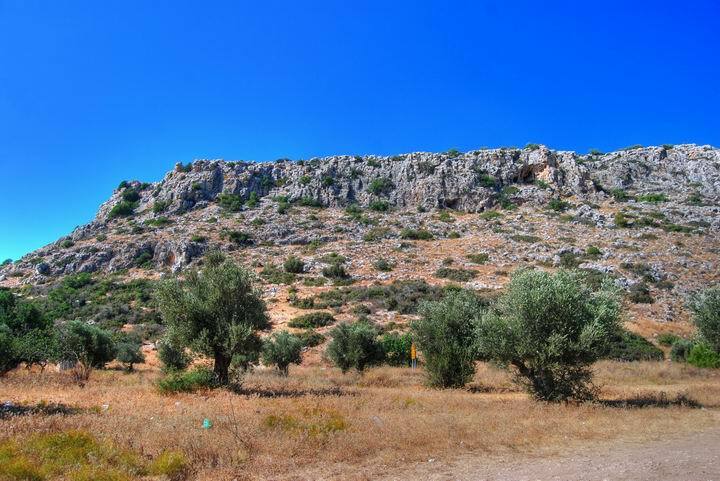 The site is located at the western edge of the Oren valley. In the hills there are a series of prehistoric caves where Early Man dwelt. 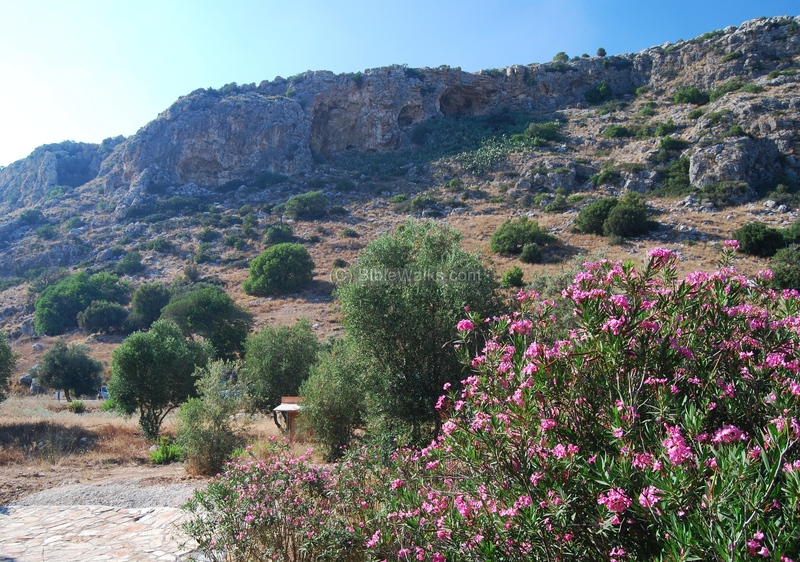 Job 30, 6: "To dwell in the cliffs of the valleys, in caves of the earth, and in the rocks"
Mount Carmel and the Carmel shore have more than 210 prehistoric known sites, spanning from 150,000 years ago. Some of the sites are in Nahal (creek) Oren, at the west side of Mount Carmel close to Atlit, where 3 major caves have been excavated. In Oren creek, at the west edge of Mount Carmel and close to the sea shore, there is a set of famous stone-age caves that were excavated (1958). 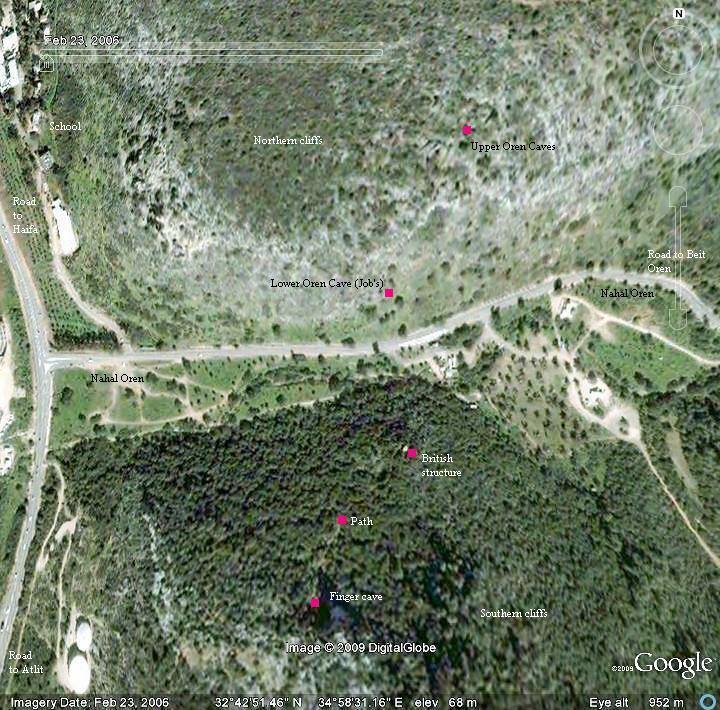 Two of these caves are Oren-upper cave and Job's cave. Another prehistoric cave is located across the valley on the facing hill (the 'finger' cave). 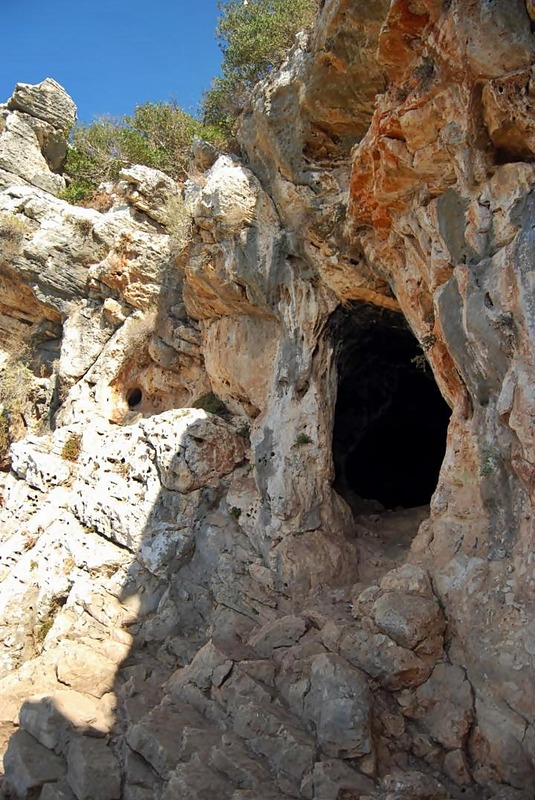 The north caves are not open to the public, but you can climb up the hill and visit the southern cave. However, the findings, mostly flint stones and bones, are displayed in the prehistoric museum in Central Carmel in Haifa (inside the Haifa Zoo). 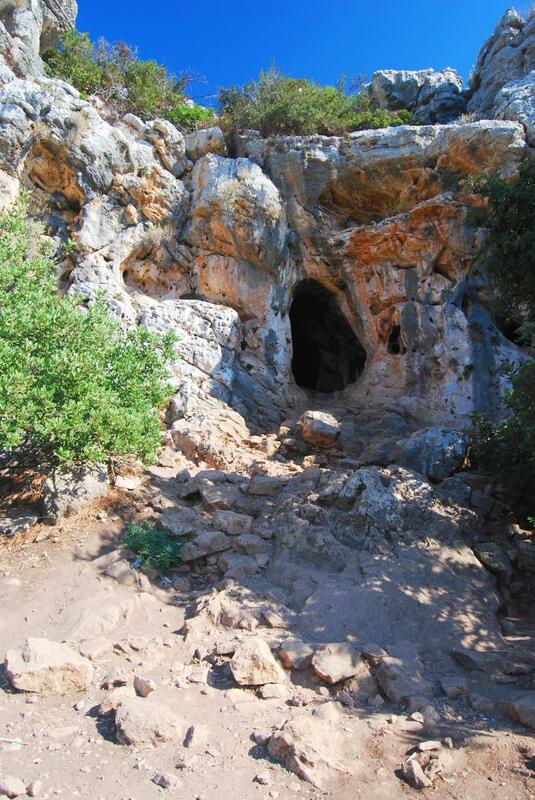 You can also visit another prehistoric site - in Nahal Maarot (Carmel Caves). An aerial map of the Oren caves is seen below. You can point on the purple points to navigate to the selected site. 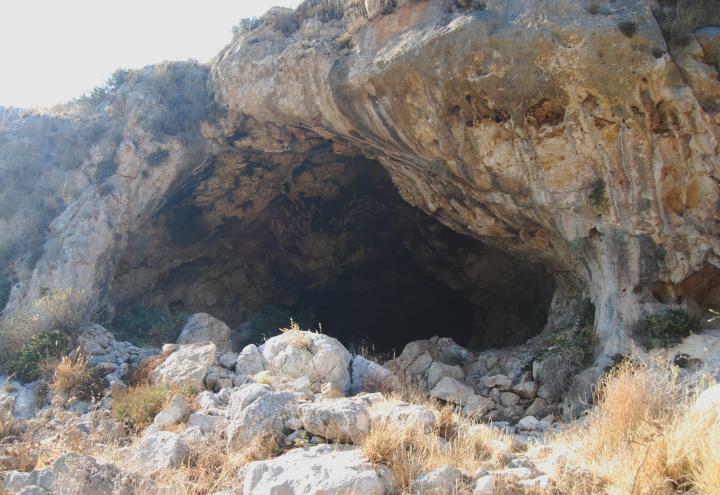 The excavations in the Carmel region showed that the early man has been in this area over the last 150,000 years. The number of sites per period fluctuated during these years. The population peaked during the Middle Paleolithic period (80,000-40,000 BC), the Epi-Paleolithic period (16,000 - 8,300 BC) and the Neolithic period (8,300 -4,500 BC). There were fewer numbers in the Early Paleolithic period (150,000-80,000BC) and the upper Paleolithic period (40,000 - 16,000 BC). In the Middle Paleolithic period (80,000-40,000 BC) there were the majority of the settlements in the Carmel. These people knew how to make knives, scrapers and points out of flint. The popular areas of the Carmel were the sites of the source of the flint stones, and there were many workshops that prepared theses tools. There were two types found in the Carmel: Homo Sapiens (our ancestors) and the Neanderthaloids (the specie that eventually disappeared, which had about 15% smaller brain). 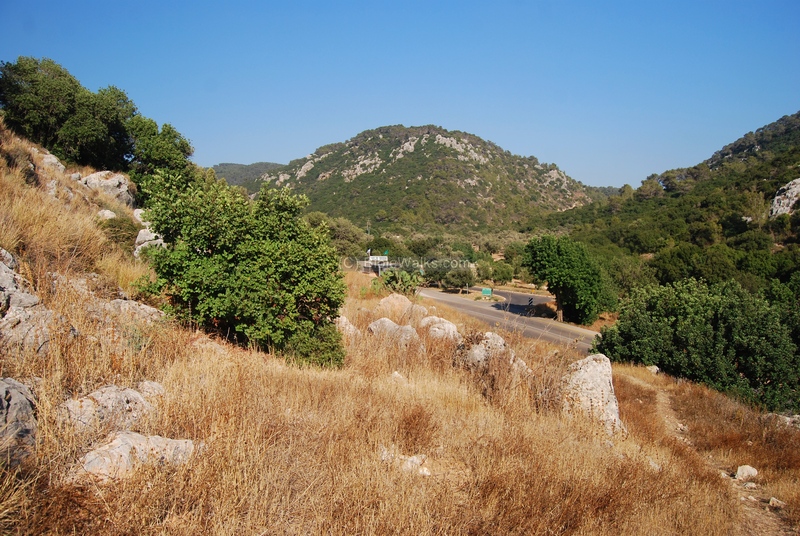 Note that this time coincided with the last Ice age (100,000 to 10,000 BC), and so the climate was wet and cold, and many Oak trees were growing in the Carmel. The Finger Cave - in the southern hill facing the above caves. These caves were mostly seasonal, and not used throughout the year. They were also used as a base for hunting. There were other caves that served as home bases - like the Carmel Caves. 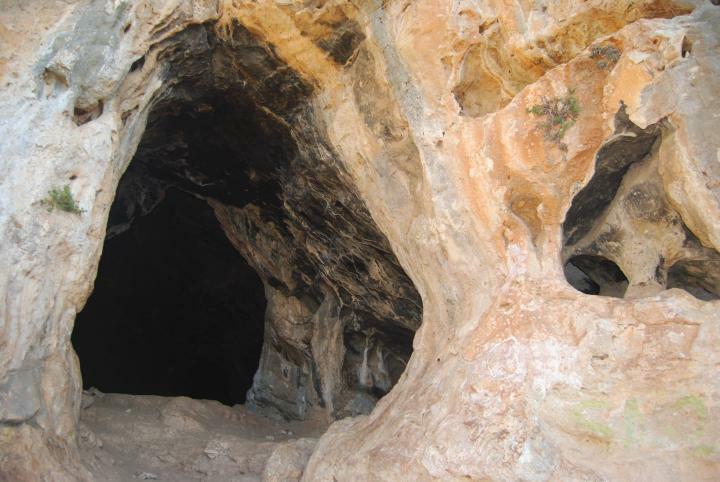 In these natural caves, the early man used as a shelter, campfire and housing. 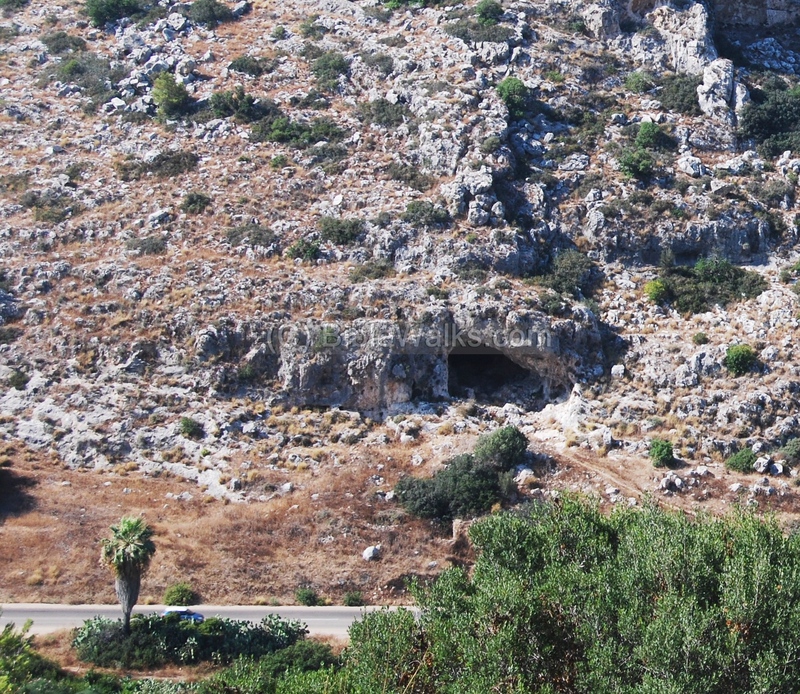 The caves are visible from the road through Oren Valley, leading from Atlit up to the Carmel. The following photo shows the north-west edge of the cliffs above the creek. The north prehistoric caves are located 500M east to the junction. The lower cave, seen close to the road, is called "Job's cave", while the upper cave is located near the rim of the cliff. The south cliffs are covered by bush. On the hillside is the "Finger" cave (on the far right side), and a British post (on the left side). The photo below shows the valley of Nahal Oren ("Pine creek"), passing between these cliffs eastwards, towards the heart of Mt Carmel - Khirbet Oren and beyond. An information station welcomes visitors and provides maps and information. You can park there, and start the hike to "finger" cave and cliffs. The caves on both sides of the valley are detailed below. 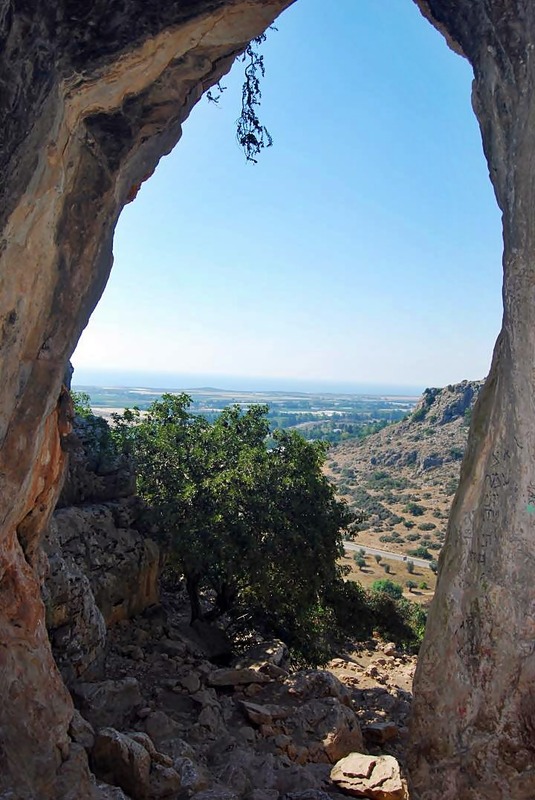 On the high side of the north cliffs (at altitude of 120M, or 80M above the valley) is a series of caves called "Upper Oren" caves. 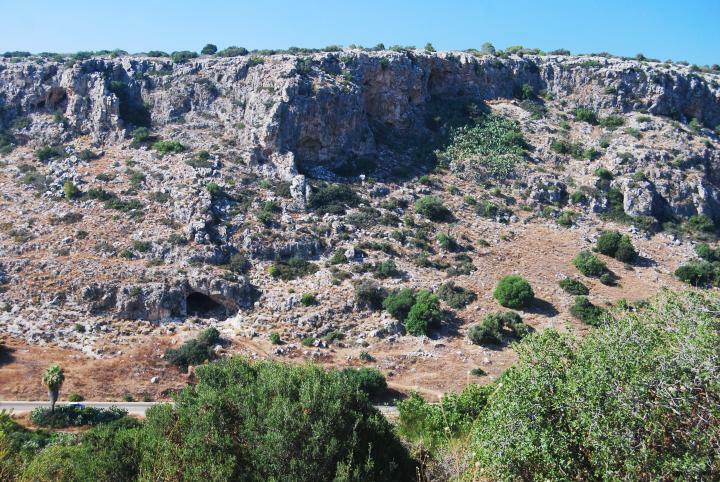 A panoramic view of the cliffs on the north side is seen below; the caves are located in the center of the photo. 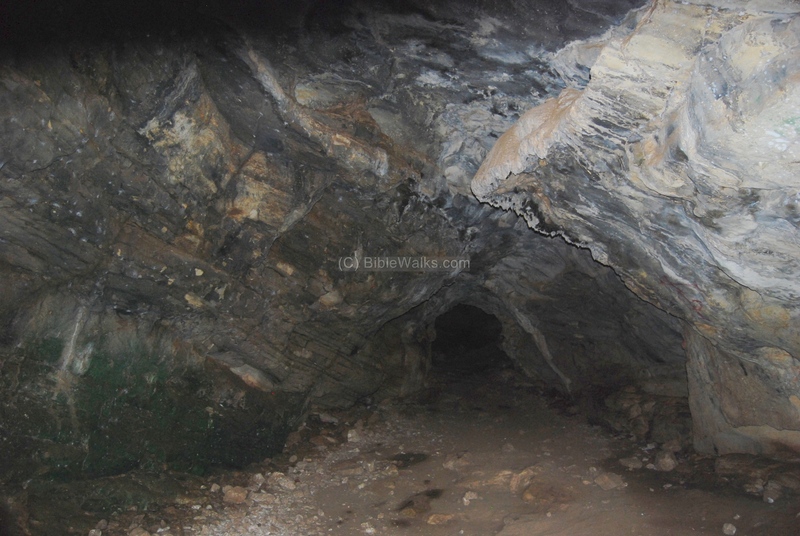 The Upper Oren cave's depth is 25M, and it splits to two smaller halls (4.5 X 7 , 4 x 5M). The center opening is seen in detail below. 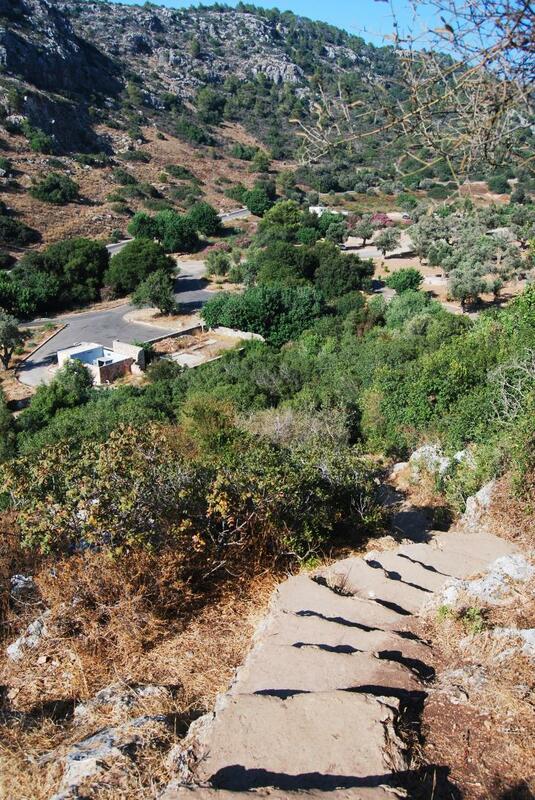 Olami excavated here in 1958-1960, and dated the flint tools to the Middle Paleolithic period (80,000-40,000 BC). These were the time of the majority of the settlements in the Carmel. This cave is located at height of 60M above sea level, about 20M above the road. Israeli archaeologist Moshe Stekelis first excavated the cave in 1941, then in six seasons with and Yizraeli (1951-1960), followed by more excavations starting in 1968 (Yizraeli and Higgs). Natufian culture (12,000 to 10,000 years ago), at the times of transition from the caves to permanent settlements outside the cave and the beginning of agriculture. They lived mostly outside the cave in round huts, and were hunters-gatherers. 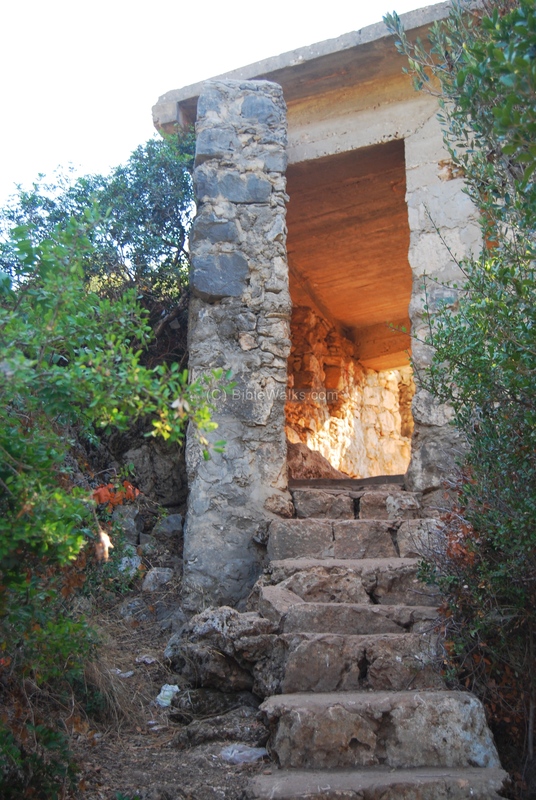 A cemetery of 50 Natufian skeletons were found on a step lower than the front terrace. Neolithic period (8,300 -4,500 BC), when the early man already domesticated plants and animals. They were the first farmers, and lived in round huts on the terrace in front of the cave. 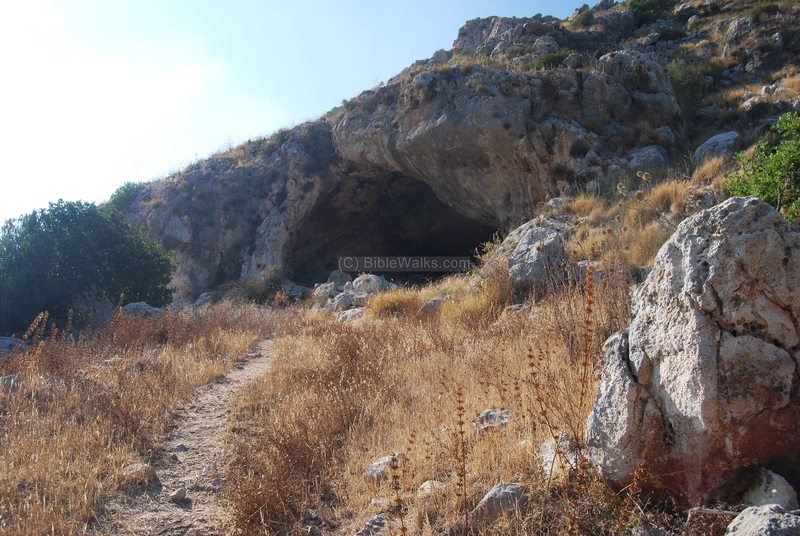 The "finger" cave (Ma'arat Ha'ezba, Etzba cave) is located on the other side of Oren Creek, opposite to Oren caves, 110M above the valley. The opening of this cave is seen in the photo below. A path leads to the cave from the center of Nahal Oren park. A closer view of the entrance to the cave is seen below. 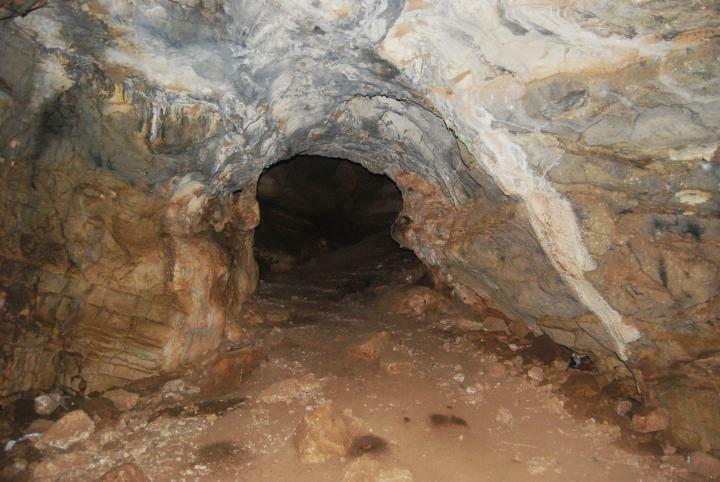 The cave has three halls, and the front hall is where the early man dwelled. The "new" Neolithic (8,300 -4,500 BC) on top, when the early man already domesticated plants and animals. 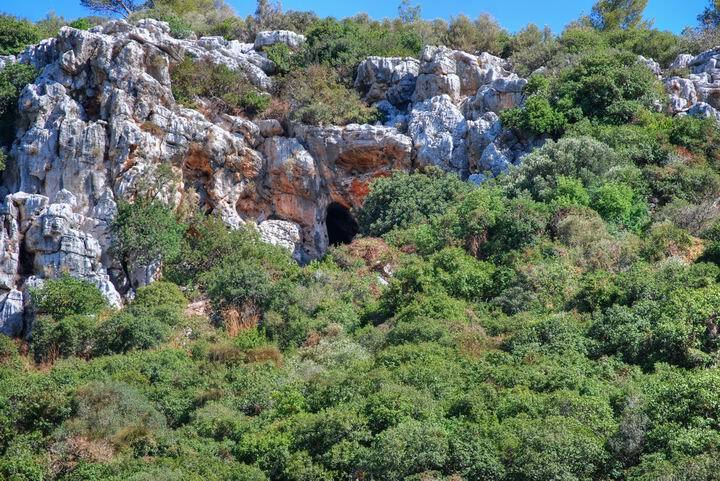 From the entrance of the cave is a great view of Nahal Oren ("pine creek"), the north cliffs, and the Mediterranean sea in the background. A carob (Harub) tree stands on the western side of the entrance. The entrance to the cave is seen in a closer view below. Behind it is a series of halls that extend into the cliff. 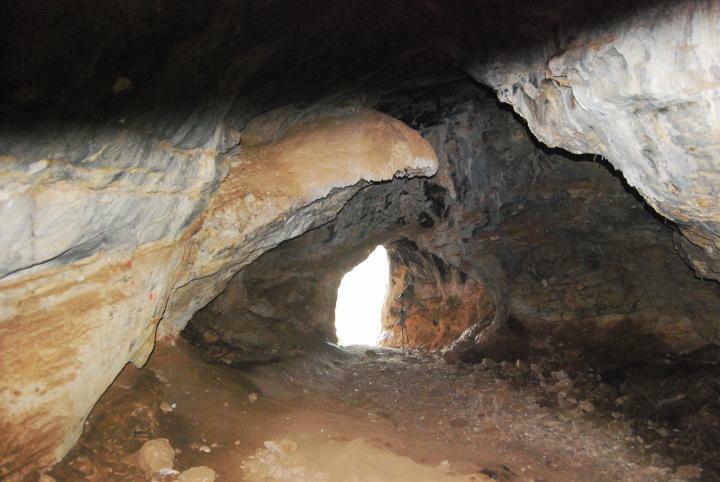 The following photos were taken inside the cave. A view from the first hall to the middle hall is seen below. A small hole connects both halls. A stalactite was formed on the right wall from deposits left from the drop of water. A view from this point towards the entrance is seen below. A closer view of the hole is seen below. The inner rooms are darker and smaller. On top of the cave we saw a Hyrax (rock rabbit, or Hebrew: Shafan Sela) which is a typical mammal residing in the cliffs of the Galilee. The Hyrax is mentioned in KJV Bible as coney (an English word for rabbit, "Shaphan" in Hebrew), as in Leviticus 11 5: "And the coney, because he cheweth the cud, but divideth not the hoof; he is unclean unto you". 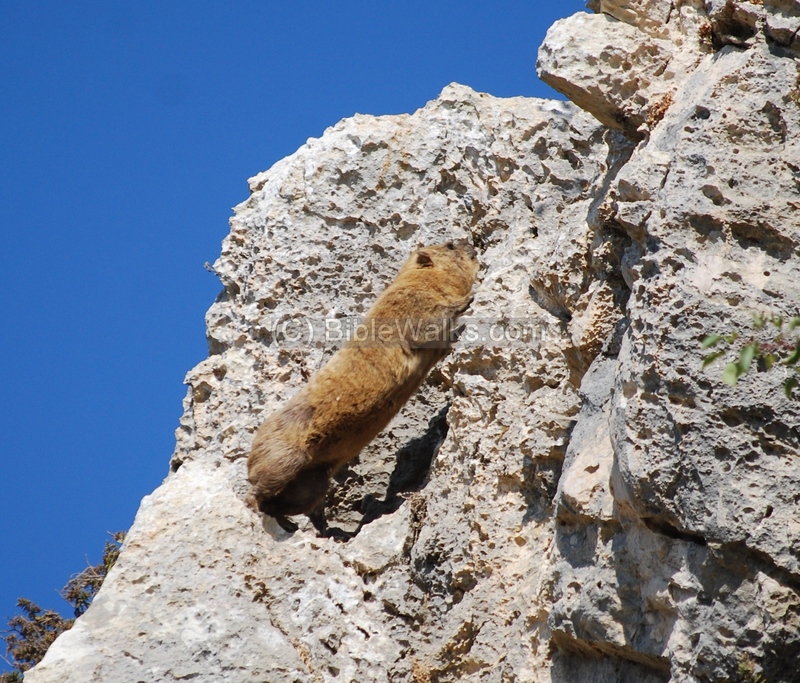 Read more about the Hyrax in Khirbet Fachir. A nature path leads from the bottom of the creek to the Fingers cave, and is a recommended hike. 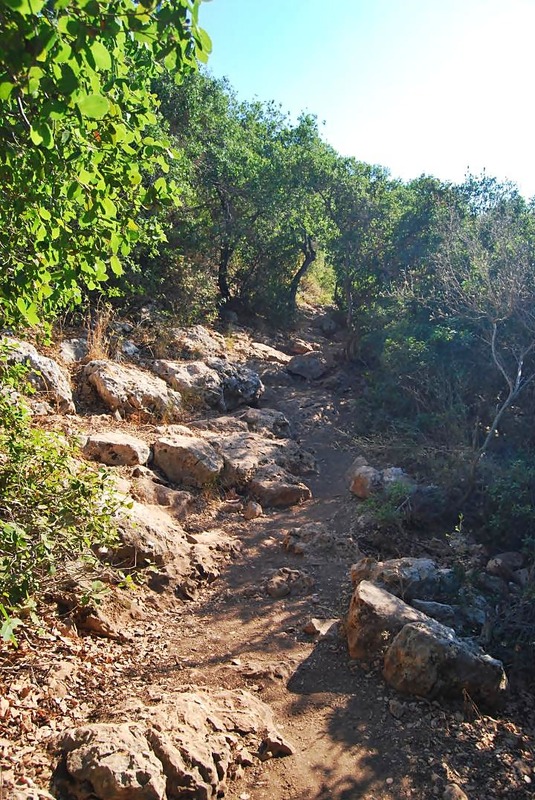 Just park your car in the parking area of the Nahal Oren visitors center, and walk up the trail. The upper section of the path cuts thru the bush and passes near the finger cave. 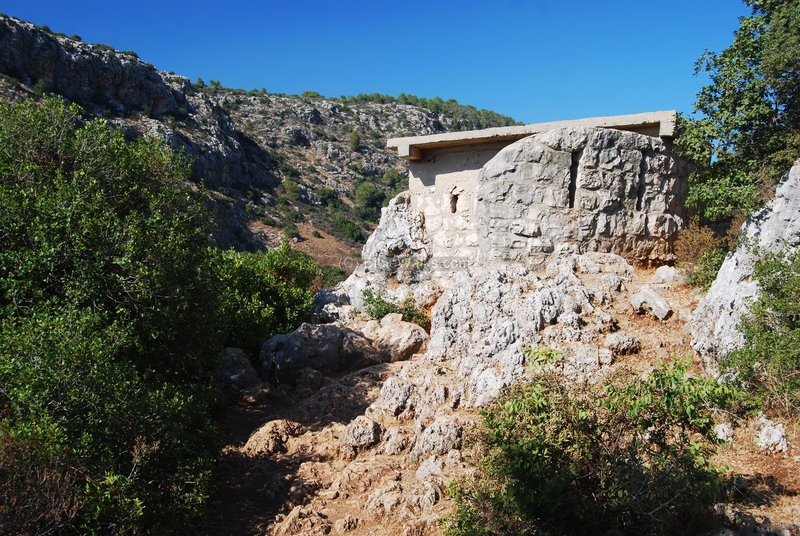 Along the path is a small British post, which was constructed here during WWII in order to protect the entrance to Nahal Oren, one of the roads to the center of the Carmel. This fortification was part of the "Masada" plan, conceived in order to make the "last stand" on Mount Carmel in case the German forces would have passed the British defense lines in Egypt. 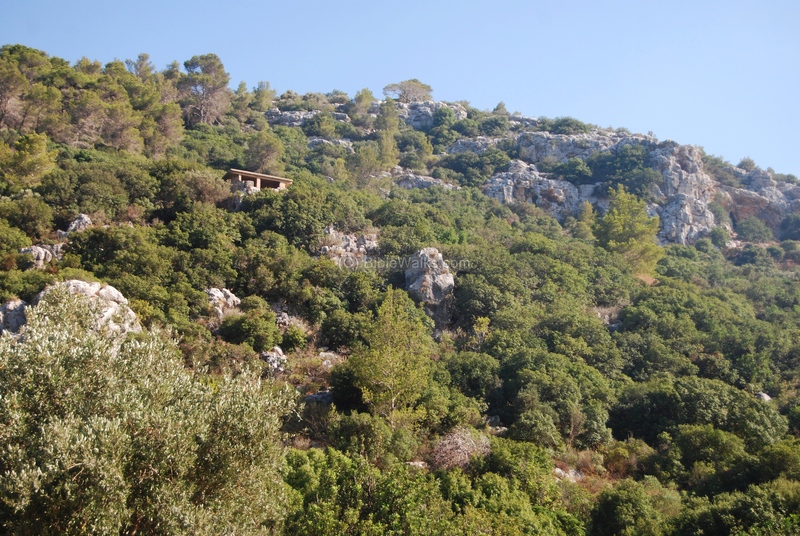 There are a number of British-mandate period structures in this area, such as on the west side of this ridge, and on other areas of Mount Carmel. The plan was to assemble the Jewish citizens in Israel on the Carmel and make a heroic stand, just like in the Roman siege of Masada. Fortunately, the British armies won the Al-Alamein battle, repelled the enemy forces, and these fortifications were not eventually used in combat. "Ezba" -Hebrew: finger, since the cave is long like a finger. Based on its Arabic name: Um-Uzba (Usbah).